door designs to choose from! 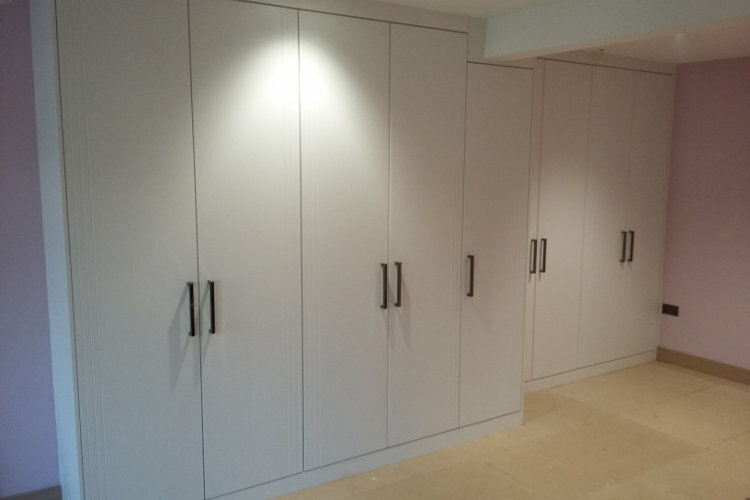 From fitted wardrobes to bespoke storage solutions, we can offer a full design, supply and installation service on over 40 stunning door ranges including the latest handleless finish, high gloss finish or various melamine finishes. 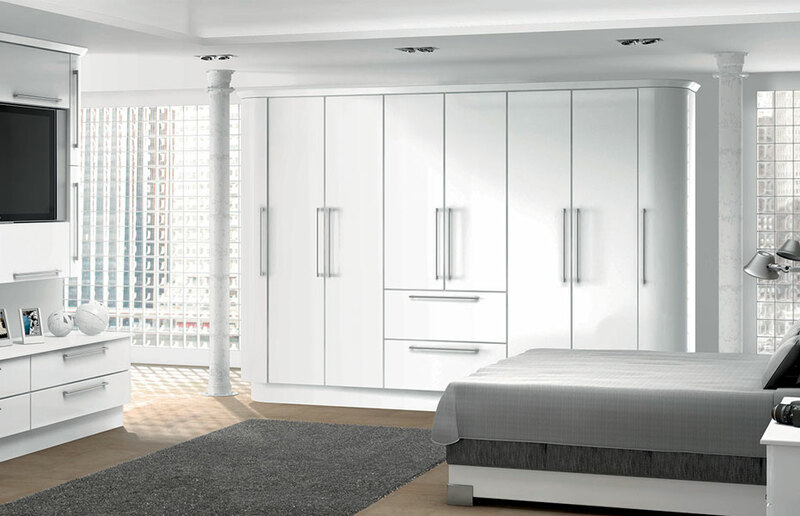 We work with you to design a bedroom that offers you the best cabinetry and storage options that are tailored made to fit your own personal space. Based in Milton Keynes, Buckinghamshire, we work in and around the surrounding towns and villages within a 25 mile radius, as well as carrying out regular installations in London and the Greater London Area. 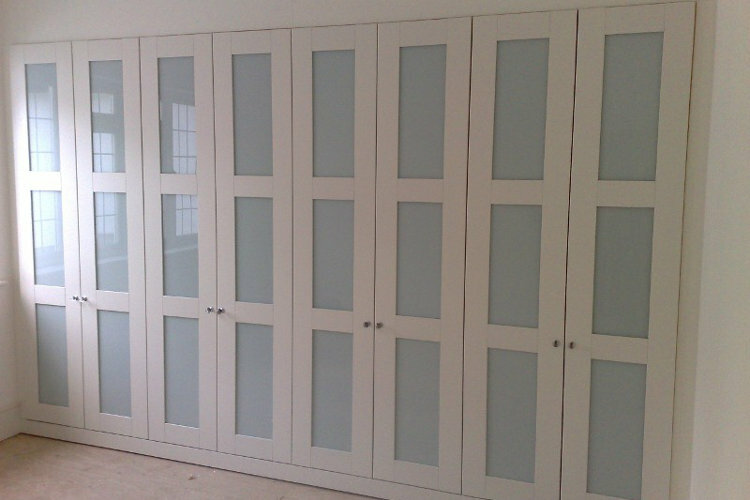 Why not contact us to see what First Class Fitting can do to help you? Known for its calming properties, white brings a feel of fresh serenity to the bedroom. 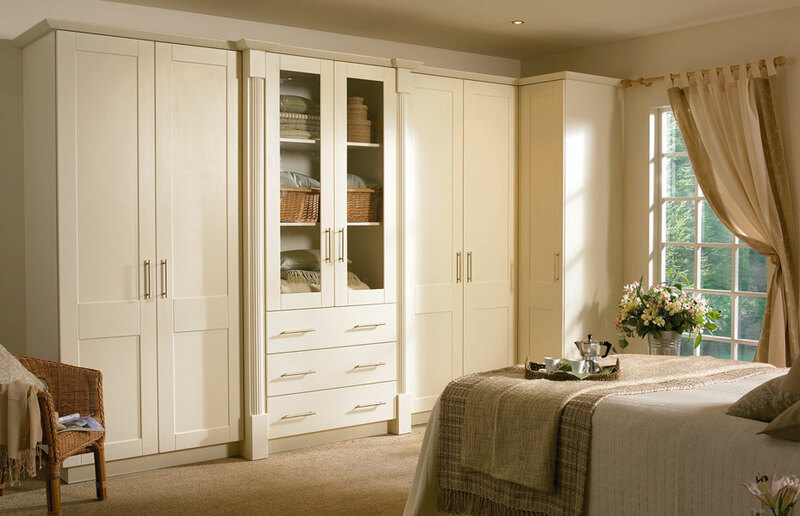 With curved bedroom doors, the Premier Duleek is a breath-taking arrangement of perfect storage and elegant proportions. With facilities for a built-in plasma, it may become the favourite room of the house. 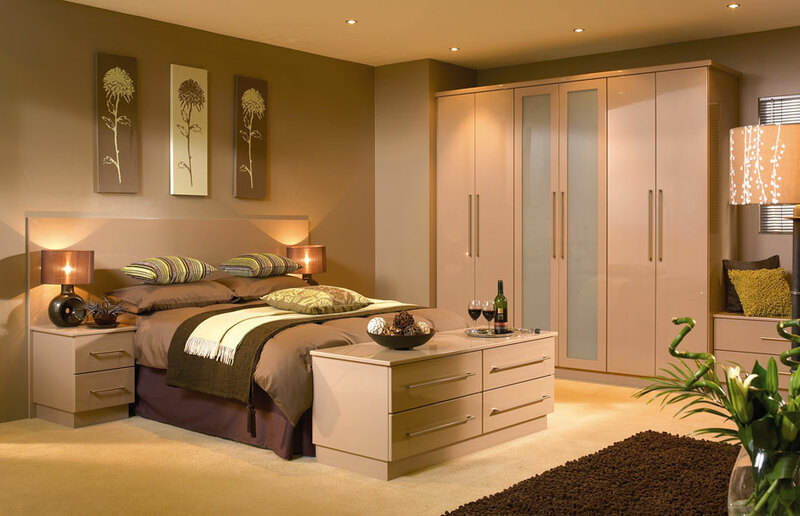 Replacement High Gloss Cream wardrobe doors is a winning formula for bedroom bliss. Premier Duleek with its streamlined robes and mirrored fronts makes for a bright and airy look; especially when teamed with fresh floral or neutral shades. 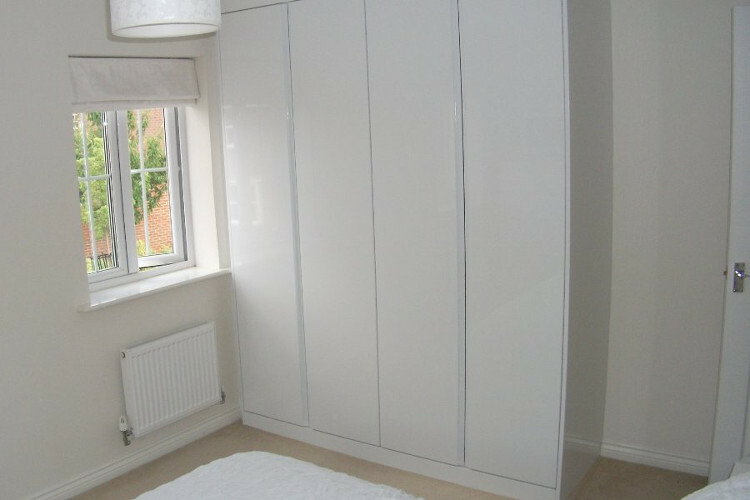 Get the five star look with the incomparable Brentford handleless wardrobe doors. With subtle recessed handles, the doors feature a stunningly different horizontal grain. And with luxurious features and the finest of finishing throughout, this is one bedroom you won't want to check out of. Chic and sophisticated, this bedroom has a real 'Uptown New York' feel to it. However the understated styling would look equally well in less far off fields! 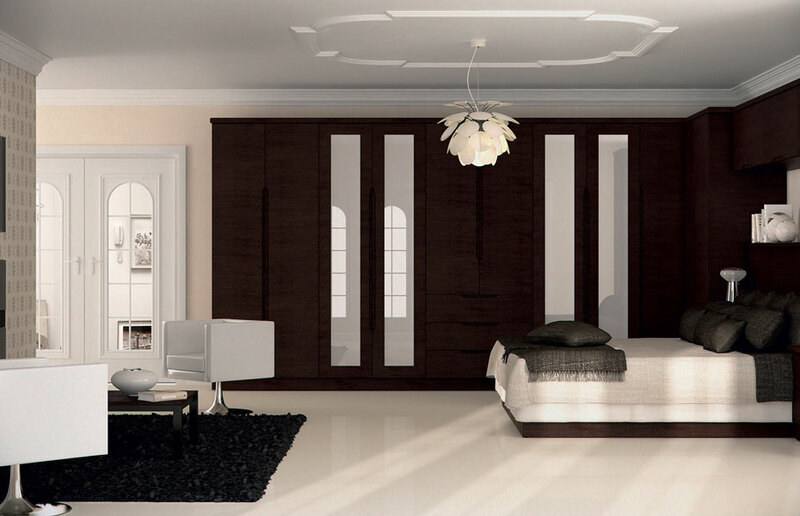 The wood grain surrounding panels add warmth and contrast to the black gloss wardrobe doors. Very much a bedroom for those with cosmopolitan tastes. 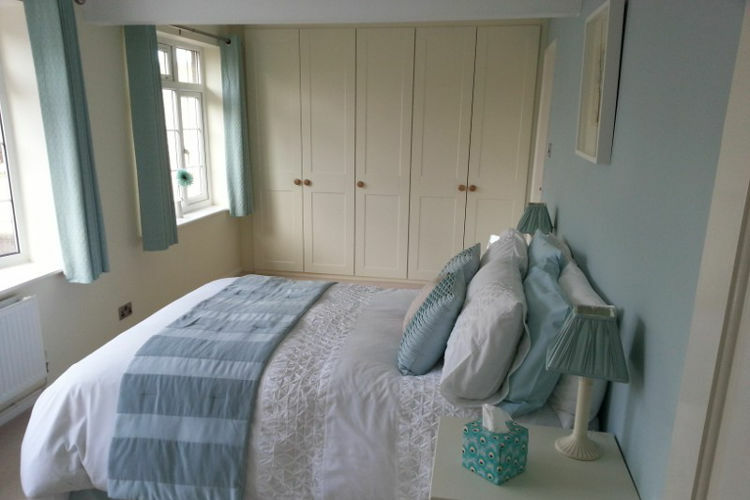 The Gothic detail on the wardrobes is striking yet the overall feel is classic and fresh. For those preferring more traditional bedroom doors, this range would work equally well with rich warm colours and bedding. All those aspiring to be the next 'Imelda Marcus', a dressing room with lots of space for shoes and bags is an excellent storage solution! Transforming the bedroom into the 'I.T.' room. 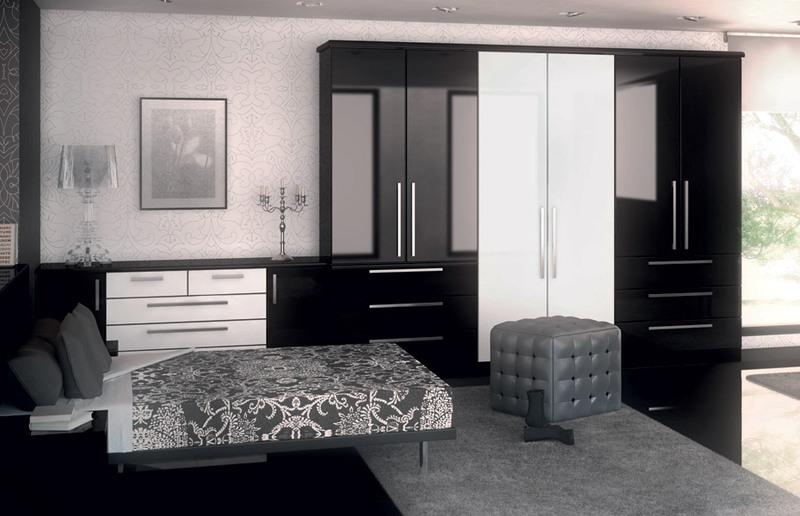 Premier Duleek is a dramatic amalgamation of white and black high gloss. The two-tone contrast makes for a movie-star standard setting. Shaker Beech wardrobe doors, frosted insets and a matching headboard create a stylish coordinated look – made individual with a rich cerise colour scheme and bright accessories. The subtle grain of the Canadian Maple is bright and fresh, ideal for this simple yet tasteful design. Overhead units and headboard shelf leave no space unused. Sisal flooring complements the green accent colours creating a tranquil ambience. The sleek coffee coloured gloss doors set against similar coloured walls create the ultimate blank canvas to introduce striking chocolate and lime accessories. An incredibly stylish bedroom – yet the level of storage makes it extremely functional. 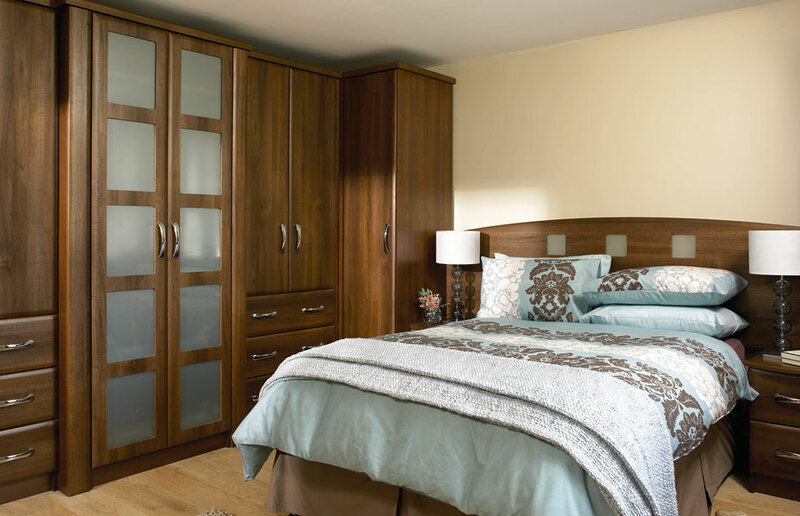 The Dark Walnut effect Premier Slab wardrobe doors create a rich expensive feel to this bedroom. 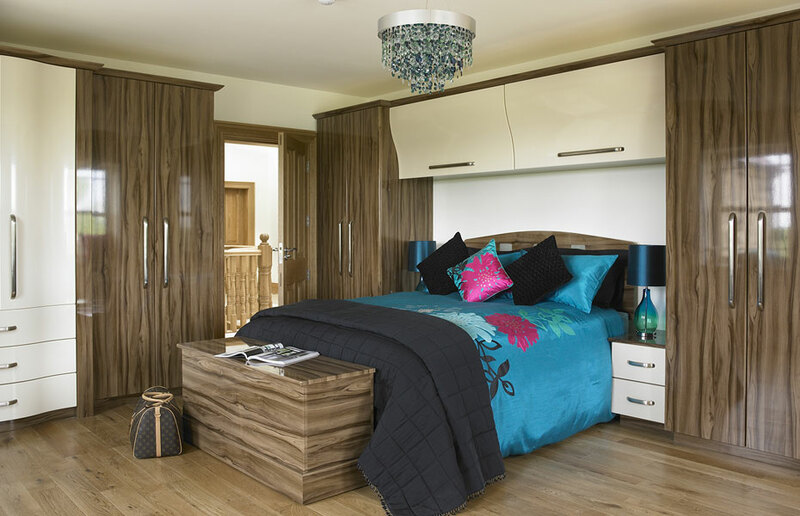 The square design in the headboard is mirrored in the centre doors giving a clever designer touch. Dramatic bed linen in tones of chocolate and duck egg completes the look. Rich blue décor and accessories complement the simple lines of the Celtic Birch Ashford wardrobe door. The mirrored doors reflect light and add interest to the room. 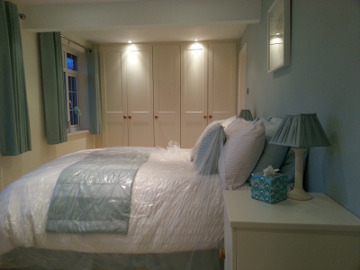 A fitted bedroom ideal for the 21st century. Premier Duleek features S-shaped top flap doors in its arrangement. 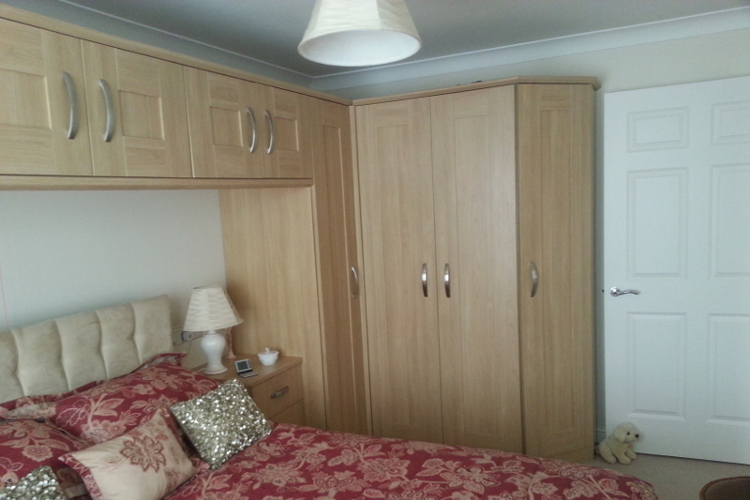 With storage being the most important consideration for so many people, the design offers plenty scope with robes, cabinets and there is even a blanket box to place at the end of the bed.